I went looking for the "paid protesters" Gardner says are badgering him. Here's what I found. 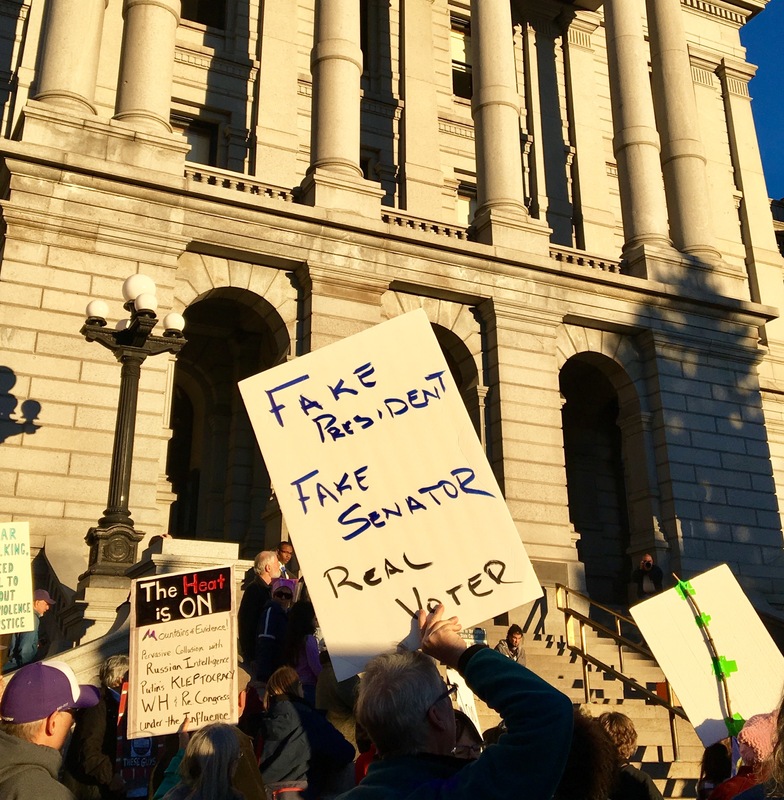 Rallies and protests occur regularly outside his Denver office in opposition to his stance on anything from the Affordable Care Act to the environment, and at one point, his voicemail box was full due to the high volume of calls he was receiving. His response to those with the audacity to urge their representative to represent their views? 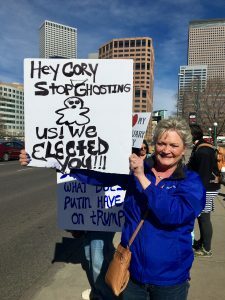 Delegitimize them by claiming they are paid protesters and callers from out-of-state who don’t actually represent the views of Coloradans, an interesting claim considering the majority of Coloradans didn’t want a Trump presidency. I had some questions. Who is paying them? How much are they being paid? Where’s the sign-up sheet? So, I set out to an anti-Gardner rally with the goal of finding at least one paid protester whom I could ask. On Friday, around 50 people congregated at the state Capitol to take part in a nationwide wave of actions against Trump that day. The Facebook event page specifically mentioned a march to Gardner’s office, so I figured this would be a likely place for an anti-Gardner professional protester to hang out. After talking to more than a dozen people there, I did not find a single one of the fabled paid protesters. Instead, I just found a bunch of people who really dislike Gardner. 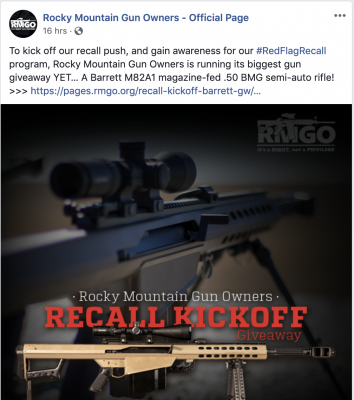 In fact, there weren’t even any organizers present at the rally – just genuinely concerned Coloradans organizing themselves. Rally attendee Trish Kinkel, who even carried a sign that read “not a paid protester” in response to Gardner’s remarks, had some choice words for him. She suggested he retire from politics and play golf for the rest of his life, “because he obviously does not care about his constituents,” adding that she looks forward to expressing her opinion of him at the voting booth. William Chengelis, another attendee, said he’d never met a paid protester, but joked that he would love to be compensated for his time. From what I could tell, the only person there being compensated for their time was myself. 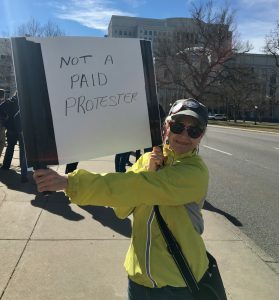 I wasn’t ready to give up, so on Monday I decided to attend Denver’s “Not My President’s Day” rally in search of the elusive paid protesters. This was a larger and more organized rally, with a few hundred people and several speakers, and still, despite my genuine best efforts, I failed to find a single person who said they were paid to protest or who knew where I could find such a person. Lance Eberhart said he’s been going to rallies every weekend, but that he forgot his “not a paid protester” sign this time. He also said he frequently calls Gardner’s office and makes sure to say that he’s not being paid to speak his mind about issues like education and the environment, even though Gardner continually delegitimizes concerned citizens like himself. Jeanette Baust, who said she’s been to multiple rallies recently, said she wishes more Republican representatives would stand up for our Democracy. “We need patriots, we need people to stand up and listen to everybody and work for compromises. And it’s not just [Gardner], but it’s his party right now that’s in charge, so they have to take the lead. 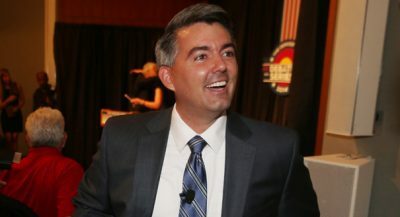 We’re looking for Republicans that say ‘This is nuts, we don’t believe in this,’ and if [Gardner] is not one of them, he needs to move aside,” Baust said. As a couple people I talked to pointed out, a paid protester might not admit they were being paid, which is of course a possibility. But I truly got the sense that everyone I talked to simply had genuine concerns, most notably about issues like health care, education, and the environment, and wanted their voices to be heard. I can’t think of a way to verify Gardner’s claims of robocalls and calls from out-of-state numbers, but of the approximately 40 people I talked to, most said they’d called Gardner at least once, and some said they called almost every day. That should account for something. Home › Forums › I went looking for the “paid protesters” Gardner says are badgering him. Here’s what I found. 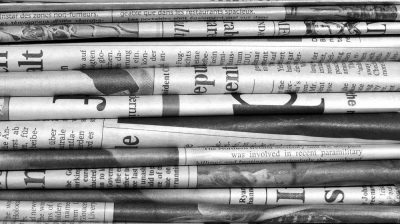 Posted a new article: I went looking for the “paid protesters” Gardner says are badgering him. Here’s what I found.